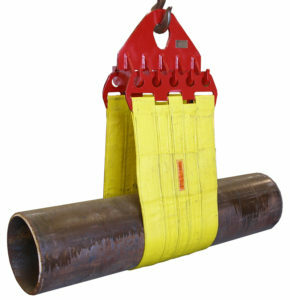 Tuffy® Products supplies specialty pipeline handling equipment for pipeline contractors around the world. 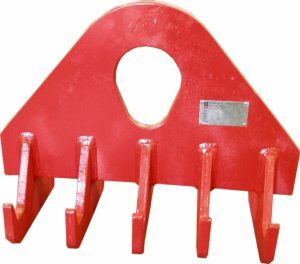 Our pipeline slings are used for handling pipe at the job site, lowering pipe into the trench from side boom tractors, and holding pipe that goes in and out of pipe bending machines. All pipeline products are made in the USA from domestic material. Our Head Irons, End Irons, Lined Steel Choker Belts, and Web Sling Fittings are made from alloy steel to reduce weight. We also apply a special coating to our Lowering-in Belts that considerably extend the life of the belt. Our pipeline sling catalog makes ordering easy because you can select sling sizes and lengths by pipe diameter or capacity. For information and pricing, contact Tuffy® Products. 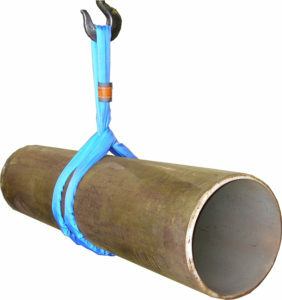 Aligns pipe exactly without slippage for bending, welding, etc. Experienced, leading belt manufacturer for over 15 years. Heavy Duty Polyester webbing for durability and strength. Web coated with Heavy Duty coating. 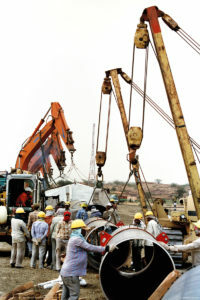 Belts used around the world, in all types of climates, in sizes up to 60” Diameter Pipe. Head Iron not included as pictured.